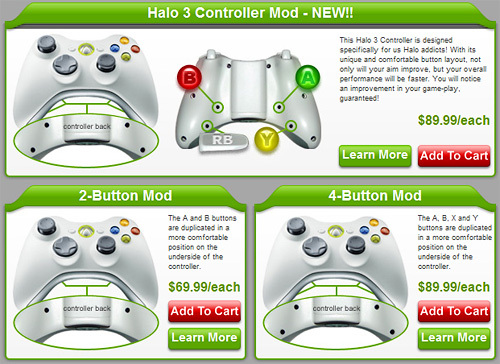 HG XBox 360 Controllers Come Custom Modded With Duplicate Buttons | OhGizmo! I live in the UK & I’m interested in the 4 button mod with the toggle switch mod as I use southpaw. Please can you let me know how much this would cost and how I could pay. (Paypal? ).